Following Thanksgiving, several friends of ours who attend the chapel at St. Mary’s Convent, Sewanee, where we worship when we’re in Tennessee, wrote to us about their part in an interactive Thanksgiving service at the convent. 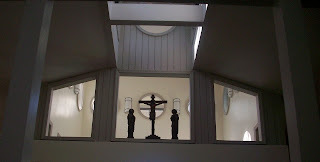 Although the liturgy at the convent usually follows the conventional Anglican way, every once in awhile, the Sisters jolt us out of our “sacred cowness” with an alternative method of involvement; i.e., the interactive sermon. Friends at Sewanee reported that the Sisters led off with expressions of thanksgiving for various blessings in their lives, then asked others in the congregation to stand and declare their thanksgivings. I understand that this was a cleansing, as well as a praise time for congregants. Although we “frozen chosen” aren’t a testimonial type group, sometimes we’re melted down by the Sisters’ departure from “ritual as usual.” Actually, the interactive sermon is not a new thing and harks back to passages in the first book of Corinthians when people stood up and shared a part of the worship service, as well as expressed transformative spiritual revelations they had experienced. I remember attending an interactive sermon church in Washington, D.C. a few years ago. The experience sorta’ scared me because people came up to an open mike and critiqued the sermon, which I don’t think is the real purpose of interactive sermons – the purpose is to lead congregants to this sacred place where they meet God. 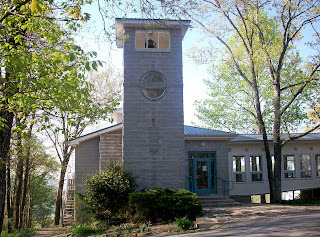 When I preach at Grace Fellowship Church at Sewanee, a very small interdenominational church in the woods near St. Mary’s Convent, discussion always follows my homily, which is a form of interactive preaching and is nearer to educative preaching than inspirational preaching. However, the expressions of this small group are always heartfelt and affirming of whatever message I deliver. The Namaste, a gesture of blessing when we pass “The Peace” at St. Mary’s, is such a strong influence we found ourselves responding with it to others at The Church of Epiphany here in New Iberia, Louisiana during the Peace this past Sunday. The Namaste, is performed by slightly bowing and pressing hands together, palms touching and fingers pointed upwards in front of the chest. The Sisters of St. Mary usually perform it without speaking. Namaste, commonly performed in India, is a respectful greeting and means “The spirit in me respects the spirit in you,” or “the divinity in me bows to the divinity in you.” The gesture first appeared 4000 years ago on clay seals of the Indus Valley Civilization. It’s another non-traditional expression carried out by the Sisters which we’ve adopted and that may have startled those around us when we used it at the Peace during the New Iberia service. However, it’s one that has become involuntary after four years of our attending the convent church at Sewanee. The Namaste is a reverential salutation that could stand a bit of use in and out of church in our own country. Petite Marie Melancon of The Kajun Kween fame has been waiting in the wings for several years, and today she went into press again as a Young Adult book of fiction on Kindle. Thanksgiving seems to be a good holiday to recognize Petite for her heroic antics in deepest south Louisiana as the heroine of Kurrent Komics, a fictitious New York comic book publication. 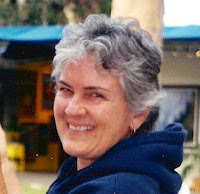 Petite Marie Melancon appeared in print in 2003 as a publication of Border Press and decided this year to join the world of electronic publishing, having seen some of her sister YA books enjoying popularity on Kindle – Flood on the Rio Teche, Martin Finds His Totem, and other titles published by BP. 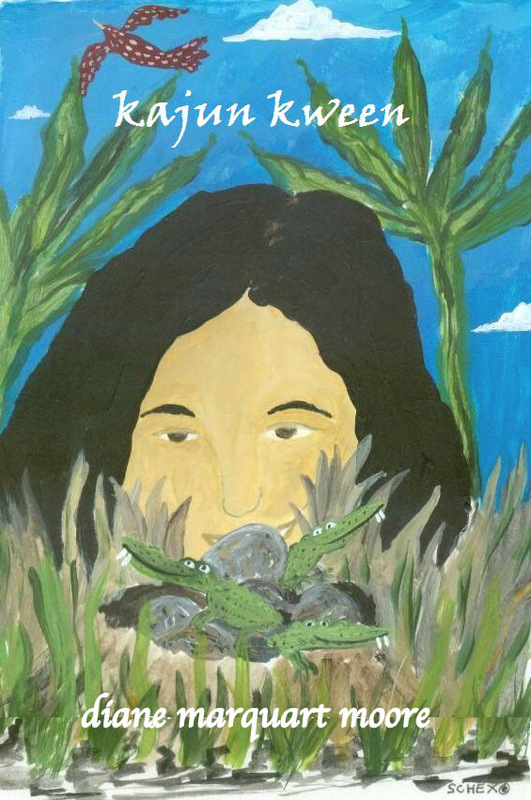 This adventuresome enfant terrible hasn’t bargained for encounters with a mother alligator protecting her egg nest, a giant snapping turtle, or for a visit from a loup garou during a late-night adventure poling alone in her pirogue in a swamp. During her adventures, a potbelly pig drops from a tornado into her pasture and becomes her companion. Romance enters her life when she competes in a hot pepper eating contest and a gumbo cook-off in New Iberia, Louisiana, and Henri becomes her prince consort as she enjoys the simple life on a Louisiana chenier. Petite fnally realizes that her height is not such a disadvantage and that acts of courage do not always mean heroics. For those readers who prefer their books via Kindle, Petite wishes you a Happy Thanksgiving as you follow her unusual adventures in bayou country. The winsome cover illustration is by Paul Schexnayder, New Iberia, Louisiana artist, whose drawings and paintings have been internationally recognized. We regret that the interior illustrations cannot be used in ebook format. 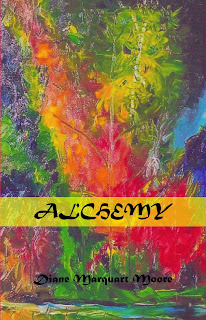 Soft-cover editions of this YA book can be ordered from www.borderpressbooks.com. Today, we plan to lunch with our good friends, Henry and Kathy Hamman, a couple who owns one of The Mountain’s small presses called Plateau Books. Henry and Kathy, who’re world travelers, have formidable credentials in the editorial and publishing field, and my friend, Vickie Sullivan, who owns Border Press, often compares notes with them about the complicated job of marketing. The Hammans lived in Iran and India – places that offer delicious Eastern cuisine – and as I lived in Iran during the 70’s, we have a common interest in exotic cuisine. Today’s menu for the luncheon includes curry, roasted vegetables, dal (yellow lentils), and raita (yoghurt with cucumber and dill). Kathy is a chef magnifique and has a deft hand with seasonings and unusual ingredients. Kathy, editor-in-chief of Plateau Books (at Sewanee, Tennessee), formerly served as editorial director of a press at the University of Miami where she captured the “Choice” award for two of the books she edited. She has been recognized in the journals Foreign Affairs and Foreign Policy. Henry, the publisher, has edited numerous scholarly monographs, published fiction and nonfiction books, and is a former university faculty member. He’s also recognized for his excellent investigative reporting and articles in Financial Times. The Hammans live in a cottage on Jumpoff Mountain Road at “Tick Farm,” where their offices are located. They’re assisted in their work by “Lucky,” an ancient Rhodesian Ridgeback dog that pretty much owns the place and joins us at mealtimes when we visit the farm. Lucky’s manner of getting acquainted is to approach a guest, stick his wet nose in her face, and if the guest blows her breath on his face, he retreats and lies down, signaling his approval of the visitor by curling up in a corner to listen to the repartee'. As a former editor for an academic publishing house, Kathy knows the special requirements for academic publications, including the importance of peer review. 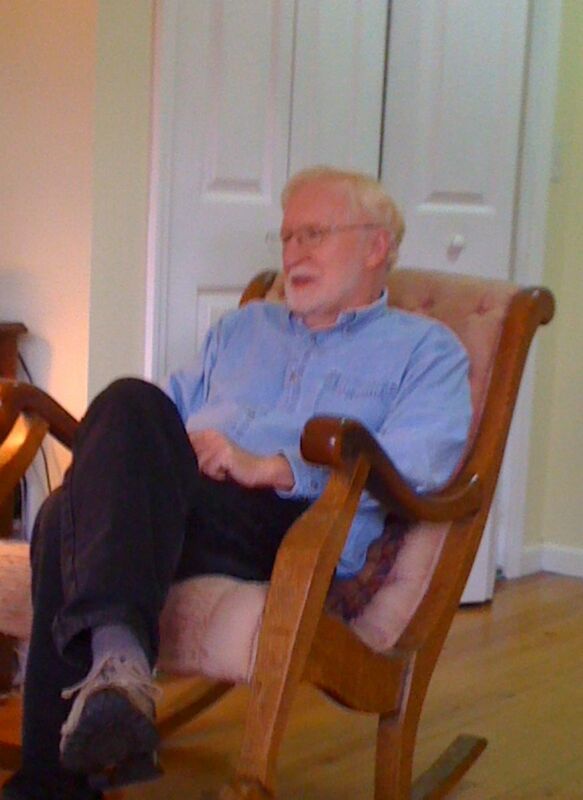 Presently in the slot for publication by Plateau Books is a theological work entitled Getting Your Sermon Heard, by William Hethcock, professor emeritus of homiletics, The School of Theology at Sewanee: The University of the South. Hethcock, the “preaching guru” at Sewanee, has authored a work that will be a significant contribution to theological seminaries throughout the U.S. and abroad. We were told to come to lunch at 1 p.m. as the Hammans had to pick up their Mennonite milk delivery (which they use to make yogurt) at 12:30 from Dagmar Gundersen, and I’m sure the raita will contain some of the Gundersen pick-up. Although rain has begun to fall and Sewanee is shrouded in grey, we anticipate having a good time – the conversation is usually lively and eclectic, and we laugh a lot when we get together. As four people interested in the art of writing, we also have weighty conversations about religion and books, particularly those volumes that both presses have produced. Border Press publishes many of my young adult fiction and poetry books, but Vickie takes notes about non-fiction possibilities as the Hammans have considerable background and experience in editing and publishing in this genre. Their press also supports independent booksellers and offers special pricing for direct sales to independent bookstores. We plan to return to Teche country on Saturday, and I know this brief encounter with the Hammans will be another highpoint in visits to The Mountain – that is, if we get past the rain now falling in heavy sheets and coloring the landscape a gunmetal gray, a hue that often inspires me to refer to Sewanee as Grayburg. It’s a perfect day for sharing a meal and talking about books! Book Cover on the Fly! 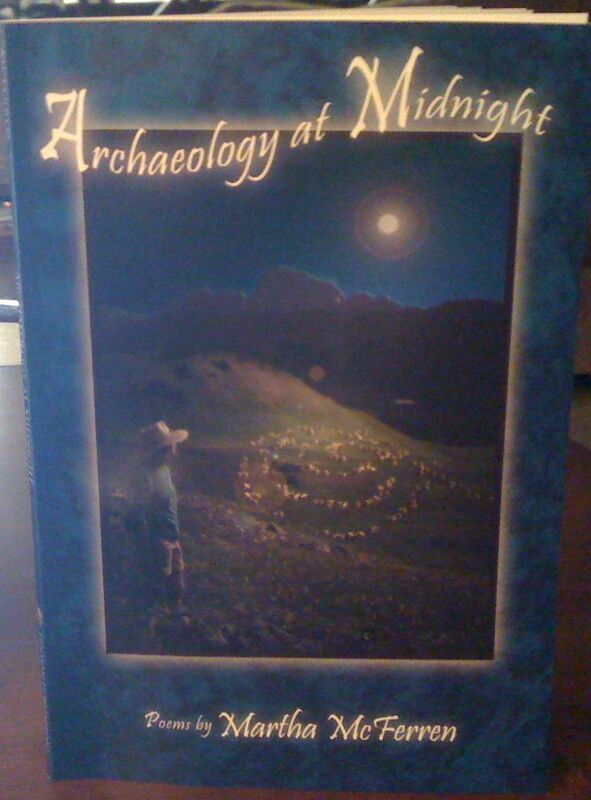 While visiting in central Florida, I've taken a "time out" to read poetry, my favorite genre, and selected for my bedtime reading, Archaeology at Midnight, the newest publication from Pinyon Publishing in Montrose, Colorado. This book of poetry by Martha McFerren, who is a master of the wry line, is an antidote to the literary works of a literalist, historicized society of the West that has discarded the "power of myth" (to borrow from Joseph Campbell), and her poems reflect sharp insights into humankind—its myths, philosophies, and foibles. She probes ancient society and contemporary society through the lens of her own experiences and relates them with verve, using strong satiric skills and turning our attention to inward realities. On two pages of the book, facing one another, McFerren probes the art of prehistoric man and Tudor England, commenting in two succinct swaths, incising the psyche of a cave dweller, first, in a minimalist poem that profiles our ancestors in lines that capture the nature of prehistoric man: "The all-together,/outside and inside./I worship what I kill/and make again. I look at my hands,/baffled by their motion./ I don't understand my eyes./What do they want?/My mouth doesn't help me./I can speak/only one word at a time./And so I kneel here/both outside and/within myself./I need others/but have to be alone...A word: Look./Another word: Make." This is minimalist poetry at its most powerful and is one of those poems to which nothing more should be added. On the succeeding page, "Glastonbury, September," features powerful imagery about the ruined architecture of Glastonbury, a romantic place in England during King Arthur's time. The opening lines caused me to feel like Emily Dickinson's description of a good poem: "as if the top of my head was blown off." McFerren writes: "This is where we walk into the air./Doors leading nowhere/Nowhere making doors. A Gothic arch frames breath. A broken stair/becomes a helix..." and concluding with similar powerful imagery: "After millennia of red despair./How sweet the easy twilight of the story. /This is where we walk into the air." Writing about the contemporary world, McFerren captures the personality of an overprotective mother in a satirical poem entitled "Beware," two pages of admonishments to a daughter who has moved to metropolitan Houston, a dangerous place where the mother feels the daughter will die from an encounter with an unknown assailant. "Beware" is a "laugh aloud" poem, especially the lines that show McFerren's wonderful originality and humor: "Stand in the corner/in your zipped-up thick robe/Be unmoving. Be very good./If you are wrapped/you will remain unraped..."
Another "laugh aloud" poem emphasizes the human love of fat, dating back to prehistoric times when women instructed men who were going out to the hunt: "Bring us fat./Plentiful, dripping, sizzling fat./It tastes so good. Yes, bring home fat..." and culminating "in the kitchen with a stick of butter -- not butter with canola oil/but pure, unsalted butter...I place one sliver on my tongue/and no communion wafer could be sweeter or more reverential./It tastes so good...We have the new encyclical: No fat..."
In Archaeology at Midnight, the metaphors are apt; the humor is piquant and flawless. McFerren reflects the humanness of all of us, reminding me of the poet, Marge Piercy, in that she has the same keen eye as Piercy and records what she sees with uncompromised candor. Pinyon Publishing has published a winner, and I might add, the winner is a Louisiana poet who lives down the road, a 2 hrs. and 30 min. drive from New Iberia, in the "City that Care Forgot," New Orleans. Archaeology at Midnight can be ordered from www.pinyon-publishing.com. 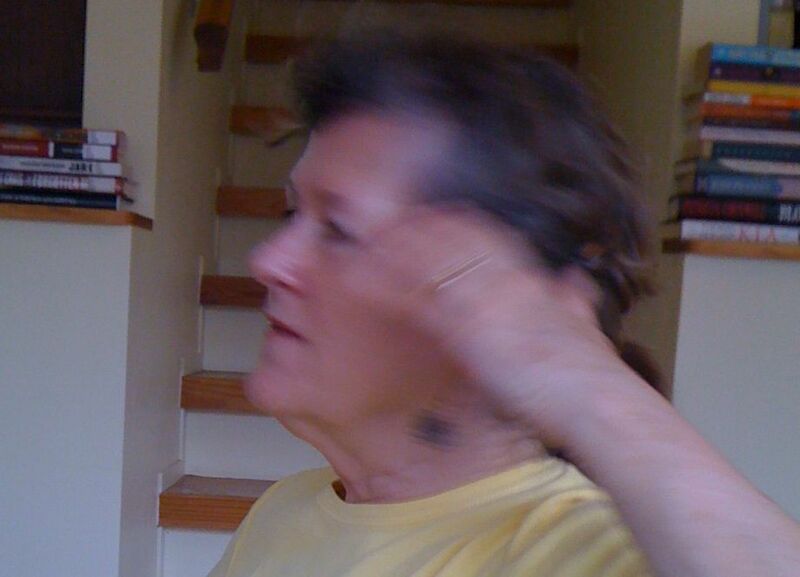 Anne Boykin, a good friend who lives in Sewanee, Tennessee and who actually influenced us to move to The Mountain there, is very ill and needs surgery on Tuesday. As I'm back in Louisiana, I regret that I won’t be there when the surgery takes place at St. Thomas Hospital in Nashville, Tennessee. When I thought about her crisis today, I chided myself for not trusting in something that Anne believes in—the guardianship of angels, especially the angels who protect all residents and visitors at Sewanee. The tradition told to every newcomer to The Mountain is that when a person departs the domain of the University of the South for a destination and passes through the gates of Sewanee, the traveler taps the roof of his car and an angel goes with him. Upon return, the person taps the roof of the car and releases the angel. In other words, residents’ bases are covered wherever they go, but the natural habitat of this divine creature is Sewanee on the Cumberland Plateau. When we first arrived at Sewanee, Anne gave us a copy of the angel legend and conveyed to us that she believes in these beings of cosmic awareness. Rudolph Steiner imaged the angels as breathing, the continual taking in and moving out of our breath, and Raphael seems to be connected with the constant flow of healing forces within and without humanity through our breathing! Raphael’s name actually means “God has healed,” and according to Thomas, our experience of this healing is one of finding and losing. Much of this description of finding and losing is based on the story of Tobit and his son Tobias in the Apocrypha of the Old Testament, in which Tobit, who is blind, is cured by Tobias. Tobias, who has gone out into the world, searches for and obtains fish gall, then returns to his father with the gall on his hands and blows into his father’s eyes, saying, “Take courage father.” He applies the fish gall, and with both hands peels away a filmy skin from the corners of his father’s eyes. Tobit regains his sight, and we are instructed that this account illustrates the story of an angel causing Tobias to find a healing for his father. Thomas advocates that we are never alone. A companion travels with us who is a healing force in everything and the healing comes from our own adversity, so we shouldn't be afraid of losing—“the child in us begins to learn and in releasing, we find—in losing we win.” Implicit in the story of Toby and Tobias is the idea that the archangel Raphael was the companion of Tobias. Blind Tobit had believed in the efficacy of angels and had told his wife not to worry when his son went out into the world because “going away and coming back, all will be well with our child…a good angel will go with hm. He will have a good journey and come back to us well and happy.” Of course, Tobit also benefited from that good journey and became well and happy. The remembrance of this poem spoke to my condition, as the Quakers say, and I crumpled all of the “post-its” dense with figures on the desk and picked up one of my favorite books, On Living Simply, a compilation of the works of John Chrysostom, a preacher who was a leader of the Church of Constantinople during the fourth century. The entire volume is a challenge to all of us who fail to remember generosity to another, not as gift giving, but as a required repayment of a debt. It records the story of John’s actions as the patriarch of Constantinople when he increased the hospitals and schools run by the Church and rooted out corruption among the clergy, stripping the patriarch’s palace of its lavish adornments. He also visited the city’s slums and preached sermons that accused the wealthy of insulting God by their greed. John of Chrysostom felt that the skill which the wealthy needed to cultivate was one of using their wealth well and that it was regarded as the highest of all arts. He advocated that if the rich communicated directly with God, they would learn that the tools of their art were not fashioned of iron or brass, but of good will. Just moments after I finished reading this, someone sent me an e-mail about Andrew Weil’s latest book entitled Spontaneous Happiness: Our Nature-Deficit Disorder in which Weil purports that the more people have, the less likely they are to be content, and that there is evidence pointing to depression as a disease of affluence. He boldly asserted that people who live in poorer countries have lower risk of depression than those of us who live in industrialized nations. Weil cited that the Amish, who live simply, suffer from a low rate of depression, 1/10th lower than that of the level of depression of other Americans. He also advocates that there are greater benefits of living close to nature – such a life not only gives spiritual sustenance but keeps our brains and nervous systems stabilized. Having read all of that, I put away my pencil, again looked out the study window at the leaves falling from the Live Oak in the backyard and sat awhile, pondering how it would be to live like John, who said that if we regard nothing as a personal possession, in spirit we own everything, can look at the beautiful outdoor world, regardless of who owns it, and rejoice in its beauty.